Start your child’s swim adventure off right with the Kids' CharacTYR Happy Fish Swim Cap. 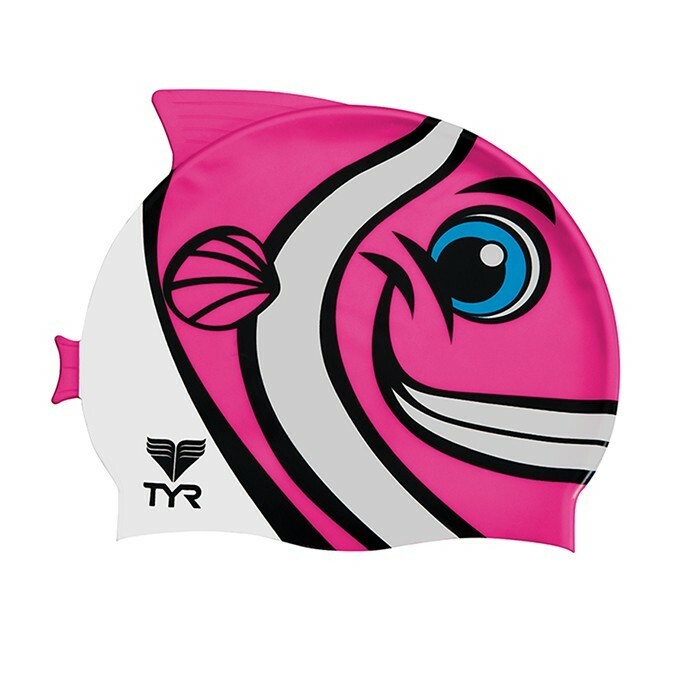 Designed specifically for growing athletes, the LCSHFISH cap provides a snug, comfortable fit and protects hair from damaging chlorine. This hypoallergenic, 100% silicone swim cap is super durable, lightweight, anti-slip and easy to take on and off. All TYR kids swim caps have been tested and approved in accordance with theConsumer Protection Safety Commission’s guidelines. Swim like a fish with a playful pink, blue, orange or charcoal design!